Our solution to building is holistic. Our system is comprised of interrelated processes that synchronise to produce high quality, high performance homes. 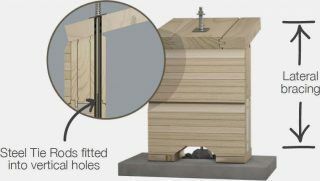 Lockwood’s unique and intricately engineered building system “locks” together timber components to create beautiful homes that are strong enough to withstand earthquakes and tropical cyclones, yet flexible enough to handle wide extremes in temperature. The Lockwood Building System is underpinned by sustainably sourced Radiata Pine wall planks, each tongue and grooved to interlock with adjacent boards. 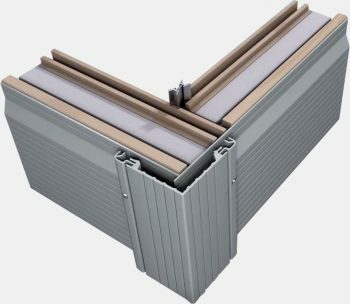 Planks are locked together using the patented aluminium “X” profile and laterally braced by spring loaded tie rods, making for a resilient structure which flexes under force. 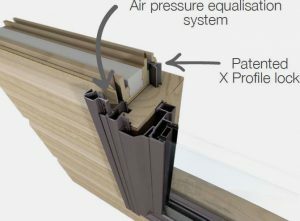 Lockwood exterior walls have a pressure equalising jointing system that transfers moisture to the exterior of the house through hidden channels that allow moisture to escape without damaging the fabric of the house. 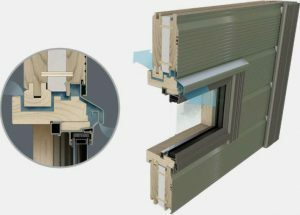 Lockwood joinery is specifically designed to allow for passive ventilation over joinery frames. This unique feature ensures the home “breathes”. Additionally, rainwater is channelled through the joinery system to drain away harmlessly. Lockwood homes have never been subjected to the leaky home syndrome, due to the superior nature of the building system. 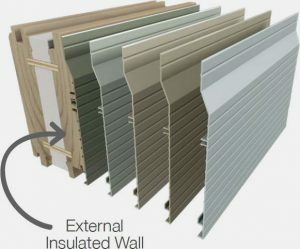 The Lockwood wall and jointing system is certified under CodeMark, providing certainty of compliance with the NZ Building Code and offering you peace of mind and quality assurance. 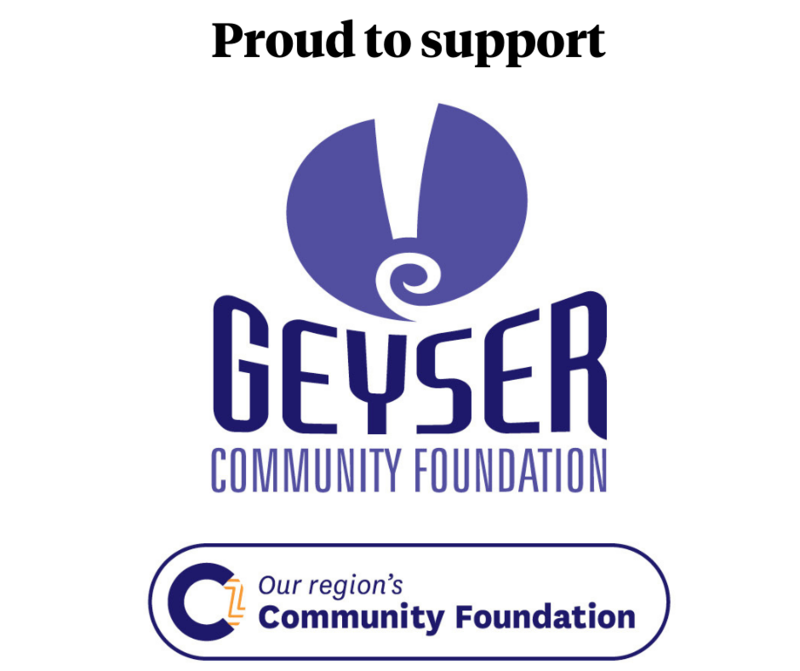 Read more about our accreditation here. 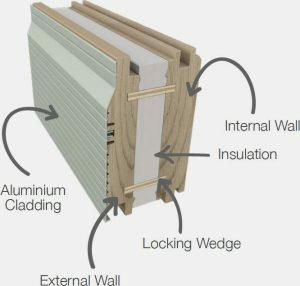 The Lockwood 107mm external insulated wall system has been rated with an R-Value of 2.1, much higher than the building code requires for solid timber buildings. This rating is achieved with the use of a rigid foam insulation sandwiched between solid timber. With minimal connection between the internal and external elements, there is much less heat loss in the building envelope ensuring your new Lockwood home is comfortable all year round. 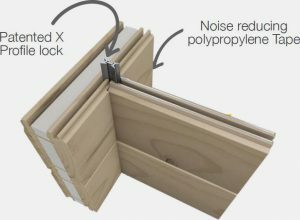 In the unique Lockwood building system, solid timber planks are locked – rather than nailed – together, using the patented aluminium x-profile. This creates a strong, versatile structure. Timber planks are machined and pre-drilled to take electrical services including allowances for incorporating the Lockwood vertical tie rod. The tie rod provides lateral bracing and the strength to withstand extreme weather conditions and earthquakes. In the Lockwood construction system, custom made joinery is integrated into the structure system for extra strength and to ensure a leak free living environment. Passive air flows over the top of the integrated joinery frames, allowing the building to breathe and feel fresh. This ensures a drier, healthier environment.